A portrait of SP4 Donald W. Evans, Jr., which is on display along with a letter he wrote to his parents at Evans U.S. Army Hospital, Fort Carson, Colorado. A soldier from the 8th Engineer Battalion, 1st Cavalry Division prepares to enter a tunnel while an armed soldier keeps guard. 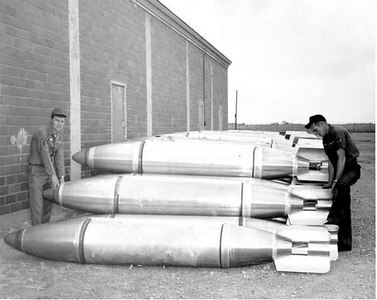 They were hoping to clear any Viet Cong who might be hiding in the tunnel out. 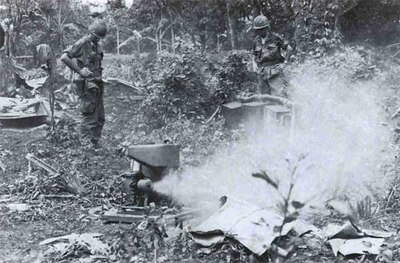 Engineers unpack and test a Mitey-Mite blower in the jungles of Vietnam. 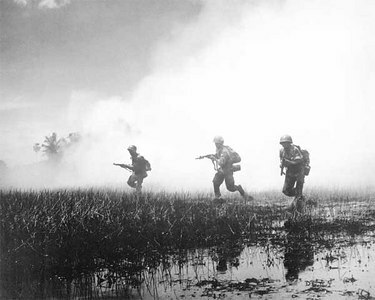 It would aerosolize and disperse CS powder, smoke, or riot-control agents, helping clear Viet Cong out of tunnels. 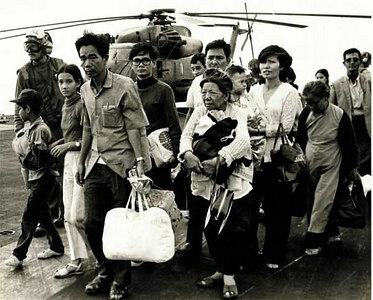 South Vietnamese refugees walk across a U.S. Navy vessel. 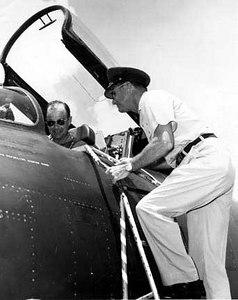 Operation Frequent Wind, the final operation in Saigon, began April 29, 1975. During a nearly constant barrage of explosions, the Marines loaded American and Vietnamese civilians, who feared for their lives, onto helicopters that brought them to waiting aircraft carriers. The Navy vessels brought them to the Philippines and eventually to Camp Pendleton, CA. 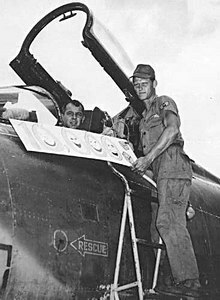 90th Fighter Squadron celebrating 10,000 sorties during the Vietnam war. 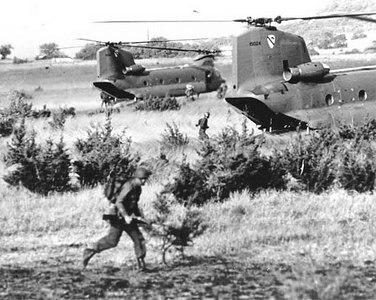 The CH-47 Chinook helicopter is a twin-engine, tandem rotor, cargo helicopter. The Chinook helicopter's primary missions are movement of ammunition, repair parts, petroleum and tactical movement of artillery, troops, and special weapons on the battlefield. 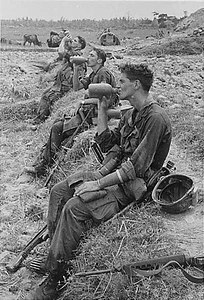 South Vietnamese troops in combat against communist guerrillas of the Viet Cong. 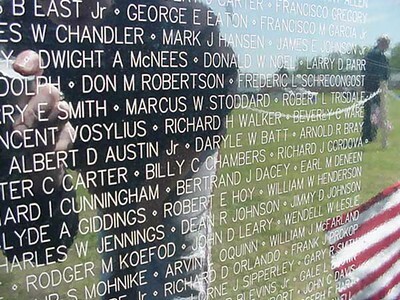 The Vietnam Wall Experience is a traveling, 3/4-scale replica of the Vietnam Veterans Memorial in Washington, D.C. Cool break in DucPho, Vietnam. 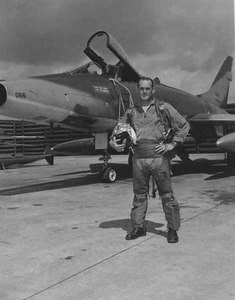 90th Fighter Squadron pilot and his F-100 in Vietnam. 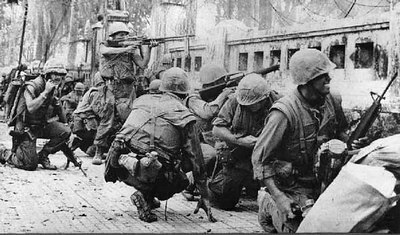 The Tet Offensive, which was the turning point of the war, took place during the weeks surrounding the New Year celebration in Vietnam. 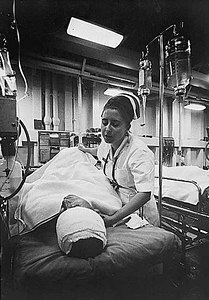 A nurse tends to a patient just out of surgery in the intensive care ward of the hospital ship USS Repose, October, 1967. 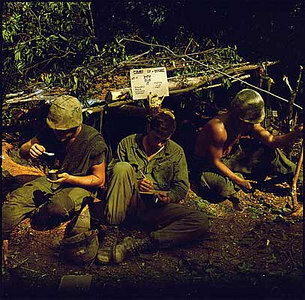 "Home is where you dig" was the sign over a fighting bunker, 1968. 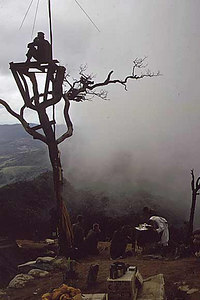 A Marine stands watch in an observation tower as a chaplain holds mass on Hill 950, July 31, 1967. 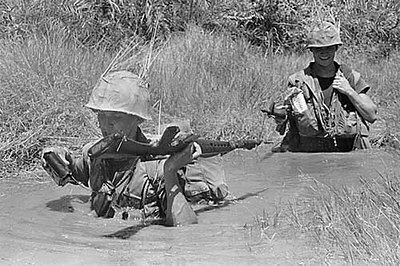 Wet going - A Marine keeps a battery pack dry as he wades through a muddy hole while on a search mission. 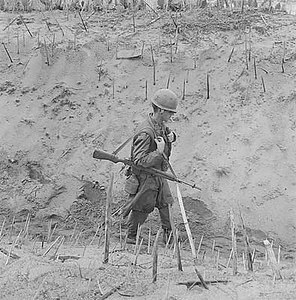 Marines of Company H walk through a punji-staked gully, January 28, 1966. 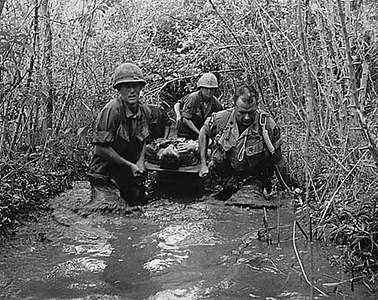 Soldiers carry a wounded comrade through a swampy area, 1969. 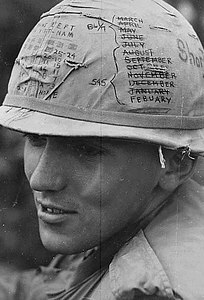 A sky trooper from the 1st Cavalry Division keeps track of the time he has left on his "short time" helmet, 1968. 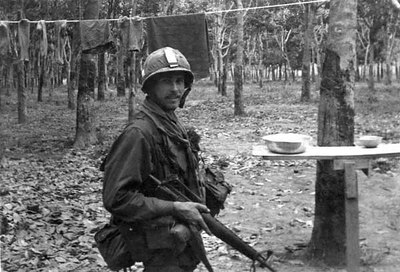 Operation "Oregon," a search and destroy mission conducted by infantry platoon of Troop B. 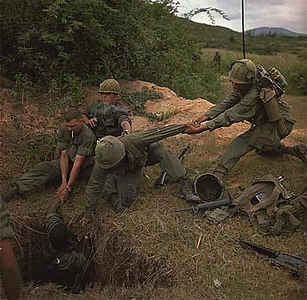 An infantryman is lowered into a tunnel by members of the reconnaissance platoon, April 24, 1967. 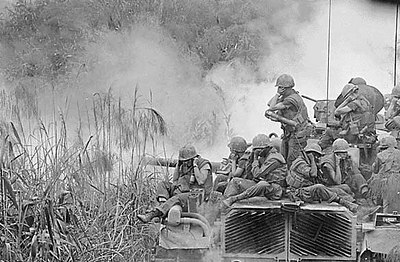 Marines riding atop an M-48 tank, covering their ears, April 3, 1968.